Paul Brazill writes gritty and unflinchingly realistic crime fiction. He has a new novel out, Guns Of Brixton. Set in London it is a brilliant mix of Brazill’s sharp observation and wry humour, local culture and razor sharp dialogue. 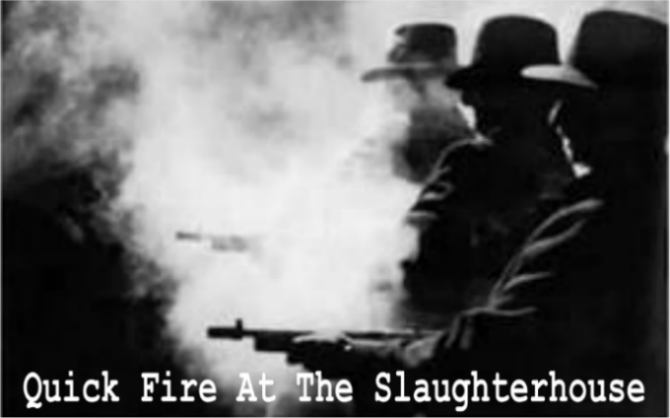 Paul met me at The Slaughterhouse where we talked about his new release and his use of location. Tell us about Guns Of Brixton. When London gangster Mad Tony Cook gives aging thugs Big Jim and Kenny Rogan the simple task of collecting a briefcase from northern courier Half- Pint Harry he doesn’t suspect that the courier will end up dead in his lock-up or that Kenny and Big Jim will then dress up in drag to rob a jeweler’s shop and lose the coveted briefcase. A fast-moving, wild and hilarious search for the missing briefcase quickly ensues, with fatal consequences. Guns Of Brixton is a foul-mouthed and violently comic crime caper that is choc-full of gaudy characters and dialogue sharp enough to shave with. How important is location and local London colour to the novel? Very important. 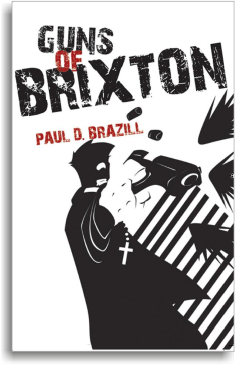 A book like Guns Of Brixton has to be set in London as ‘the smoke’ a place full of oddballs and misfits. A place where anything can happen. Or course, its a faux London just as GOB is a faux gangster novel- more Carry On Cabby than The Driver. It’s an idea of London that’s been created by films, books, TV series and songs rather than the dull, day-to-day reality that most Londoner’s live. How different is it to your other works? Guns Of Brixton is more out and out comic than a lot of my stuff. More broad and much less dark. And gleefully absurdist. I’m finishing Holidays In The Sun, the follow up to Guns Of Brixton. This is darker and more violent but no less absurdist. 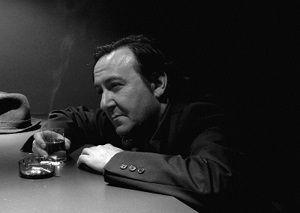 The Neon Boneyard will be out over the next couple of months- a gritty, supernatural noir. I’ll have a few stories in magazines and anthologies, including the next issue of All Due Respect and Spinetingler Magazine. Paul thank for a succinct and insightful interview. This entry was posted in Author Interviews - Quick-Fires and tagged Crime Writing, interviews, Paul D. Brazill. Bookmark the permalink. Thanks much for the interview Richard. Ah, two of my favourite writers talking to each other. Carry on! Suppose I ought to move it up the pile and read the bugger!